Just in time for Thanksgiving, the Reunion Farmers Market returns to Millennium Plaza Park in Lake Oswego from 10 a.m.-3 p.m. Saturday. Vendors will offer pumpkins, sweet potatoes, mushrooms and more from their fall harvest, local artisans will be on hand to sell their wares and there will be plenty of food, drink and live music. 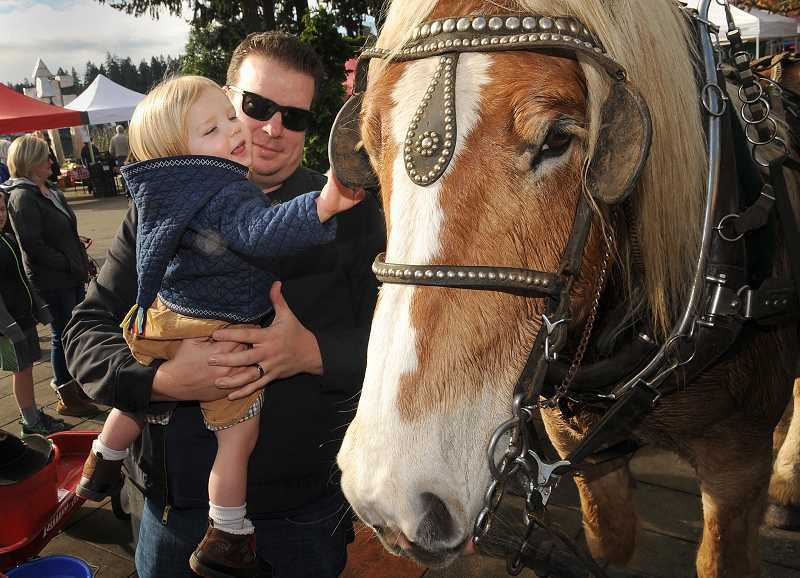 And if that's not enough, enjoy an old-fashioned horse-drawn wagon ride through downtown Lake Oswego. Reservations are required for the rides, although some seats will be available on a first come, first served basis; to purchase tickets ($8 for adults, $5 for youth 12 and under), visit www.loparks.org or call 503-675-2549. 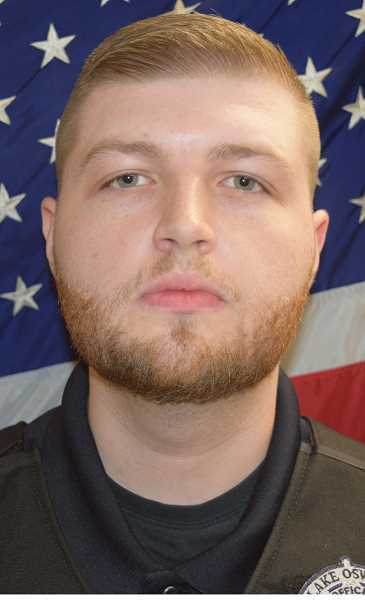 Lake Oswego Police Officer James MacFarlane graduated earlier this month from the Oregon Police Academy during a ceremony at the Department of Public Safety Standards and Training (DPSST) facility in Salem. MacFarlane completed 16 weeks of intensive classroom and operational skills training at DPSST, where he learned patrol procedure and tactics, criminal law, defensive tactics, firearms skills, emergency vehicle operation, emotional survival, how to communicate with mentally ill persons, procedural justice, how to combat implicit bias and stress management. He will now begin the LOPD's Field Training Evaluation Program, which lasts a minimum of 17 weeks and includes training and evaluation by different field officers. Once that's completed, he'll be ready to roll on his own. Macfarlane has lived in Oregon his entire life. Growing up, he enjoyed playing sports, riding dirt bikes and hanging out with friends. He enjoys traveling and spending time with his two border collies, Maddy and Scotch. He comes from a law enforcement family and says he has seen firsthand the positive impact law enforcement can have on people's lives. He began his law enforcement career by working at the Columbia County Jail in St. Helens. The Windward mixed-use development in downtown Lake Oswego has won Gold in the 2018 Multi-Housing News Excellence Awards, drawing praise for its "successful integration into the surrounding neighborhood." Judges of the "Development & Design: Low-Rise" category said they were impressed with the ability of PHK Development and ZGF Architects to "not sacrifice ground-floor retail or apartment space, but to make them benefit from each other." Judge Dana Hamilton said the developers did "a fabulous job of creating a unique sense of place." Another judge, Jamie Woodwell, said he was impressed by The Windward's integration of retail, residential and public art and the effort made to be part of the community and add to neighborhoods around it. The award is the second national award for The Windward, which includes 200 apartments and about 43,000 square feet of retail and commercial space. The project, which celebrated its grand opening this summer, was recently named a Merit Award winner in the coveted Gold Nugget Awards. In addition, the Oregon Economic Development Association named The Windward as the top urban renewal project of 2018.